Instead of shopping around for a streaming service that will ultimately disappoint you, why not cut out the middleman and start using a music library you actually own? Advantages such as uninterrupted music, increased portability, and increased longevity of the hardware you actually use make it worth the cost of a few albums. Remember loyalty? Spotify doesn't. A couple of months ago, the company's previously-announced update to its Spotify Connect platform unfortunately terminated the streaming service's functionality on a variety of speakers ostensibly advertised as Spotify-connected devices. Some of them (from companies such as Onkyo and Denon) were very expensive Spotify-connected devices. What does that mean for you? Well, if you own a speaker not scheduled to receive any updates fixing the disconnect, according to The Verge, you'll have to find a new way to get audio out of it. Here's why you should just buy your music this time around. Want to listen to Jay-Z's latest album, 4:44? Got a hankerin' for some Lemonade? Well you're out of luck if you're subscribed to any streaming service besides Tidal. Fans of Taylor Swift might remember when the wearer of beautiful gowns removed her own discography from Spotify. Spotify's algorithm-generated playlists try, but they don't always hit the mark. If you want to mess with the recipe a bit, try out Nelson, the Spotify playlist generator that lets you customise what shows up on your playlist based on the kind of music (or musical elements) you enjoy. That fragmentation, prohibiting you from listening to the music promised to you by companies such as Spotify, is the most frustrating aspect of the music streaming landscape. To get (almost) every song you want to hear, you might be frustrated enough to sign up for two subscription services and bounce between them. Of course, if you purchase your music outright, it doesn't matter what device, app or smartphone you own: You can still listen to your album. While the majority of those speakers affected by the Spotify update do indeed have auxiliary inputs that you can use to connect your phone or a Google Cast device to, that's probably not why you bought it. If you spent the suggested $8995 on the now Spotify-free B&O BeoSound 5, a deciding factor was probably its ability to both stream music and do it without your smartphone. Instead of being dependent on a particular streaming company and its support of your particular speaker, you can build a network-accessible library that works with nearly any speaker that supports standards like DLNA used by a variety of manufacturers for streaming content. You can easily build your own music (and movie) server in your home using a network attached storage device and a hard drive. Some routers with USB inputs also support iTunes media servers stored on connected external hard drives. One of the more annoying drawbacks of streaming music is the actual streaming portion, which is useless if your commute involves internet-free stretches of train tunnel. That has led to more than one song ending mid-refrain, or silence filling my earbuds when I was expecting the dulcet tones of Jaden Smith. Instead, storing music locally means no interruptions, no matter your reception. 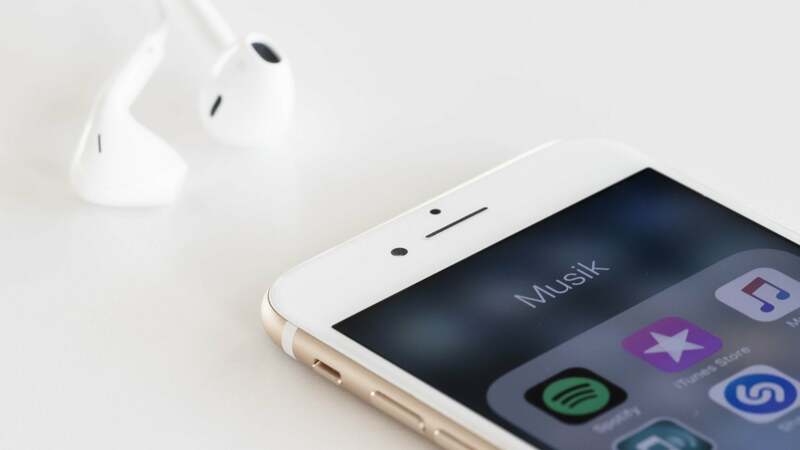 Spotify and other music services do have offline functionality, and will download songs to your smartphone, but only when explicitly instructed. If you still want an easy way to stream your music to devices that don't support the streaming of local files, or you have to attach a few Cast-friendly dongles to your hobbled speakers, you can sign up for a music streaming service that caters to those with their own libraries. Google Play Music allows you to upload up to 50,000 songs to your personal music library, letting you listen to your songs using Google Play Music and stream them to Google Cast devices. You'll have access to an entire streaming library in addition to the songs you pirated purchased. If you're an Apple fan, you can use Apple's AirPlay functionality to stream your local music (or Apple Music service) from iTunes or your iOS device to AirPlay-compatible speakers, or an AirPlay receiver. By all means, keep your streaming music service for now. After all, there's a lot of new music available, and you don't necessarily want to to shell out cash for every single track you decide to listen to from the comfort of your home. But you sure can save a few bucks by opting for a free, ad-supported version and putting that cash toward the purchase of new music. It won't be cheap, and that $11.99 per month you'd be paying for a streaming service adds up to basically an album per month, but it's worth it in the long run, especially when you know you'll never need to replace your speaker costing thousands of dollars because some developer decided to kill its functionality via software update. I follow a number of music review feeds, and very few of their recommendations ever show up on local Spotify or other streaming services. Occasionally the artist will show up, but only very old content. Thus I continue to buy my music as CD-(or better) quality FLAC, by necessity from overseas vendors, even for Australian content. I'm a filthy casual and still buy tracks from Google Play. It's worked out cheaper and I have a decent library going now. Only a purchase or 2 a month over a long time. If you don't want to buy music again you can also buy a Google Home Mini, link to your expensive receiver via Bluetooth and be able to stream more than just Spotify to the unit. Streaming via google play is just much more convinient for me. I dont listen to anything specific. I just generate random playlists on google play music. Buying music would be a waste of time and money. Purchasing YouTube Red still makes sense for me. I used YouTube Music for a long while and recently now on Google Play Music. I often just play random music from Google Play Music (or "radio" on the same app) so it doesn't bother me too much if specific artists are missing, however I did originally get the subscription because YouTube Music seemed to have more Australian artists and obscure music, I guess it's because it's community driven. I think that has now hit Google Play Music. A better piece of advice would be: don't buy expensive hardware expecting that its ability to access third-party services will last indefinitely, or, indeed, for very long at all. You're better off buying a separate piece of hardware that's dedicated to accessing that service, or that can be easily updated. Instead of buying a Smart TV, for instance, you're better off buying a "dumb" TV and putting some of the money you save towards buying a ChromeCast, or AppleTV, or Roku, or whatever. Not only will it probably cost you less overall, but when it eventually loses support for the services you use (as all hardware eventually will), you can upgrade it to a new model for relatively little money, without having to replace your entire TV. 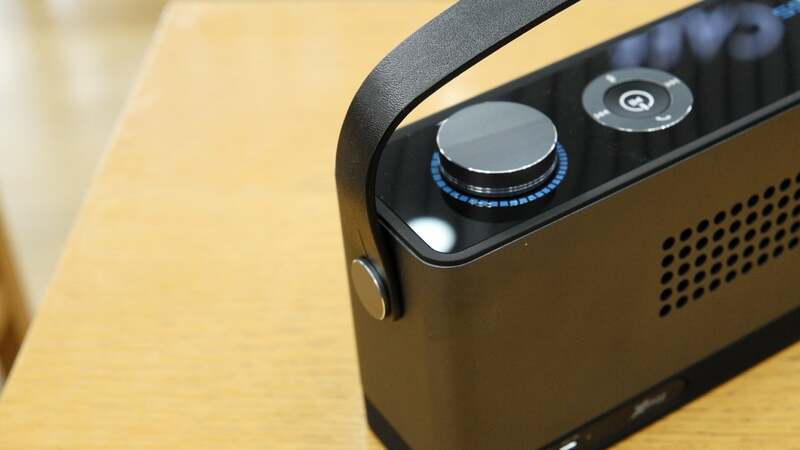 For audio systems, I'd probably go with a Pi MusicBox, but you could equally go with a ChromeCast audio, or even just a Bluetooth adaptor that you connect to with your phone/tablet/computer. None of those options would set you back more than about $70, and then you should be able to connect just about any music system you want to your speakers/hi-fi/receiver. This post reads like you're bitter because you bought an expensive piece of hardware that no-longer works with Spotify. The complaint about having to tell Spotify to take your music offline is particularly specious. If you got burned, I feel bad for you son, but this advice is bad advice. This sort of thing shouldn't come as a surprise to anyone who pays attention to tech: it wasn't all that long ago that a whole bunch of relatively-new Smart TVs lost access to YouTube after YouTube changed its API. I just wish I could find a reliable little streaming box for my TV to replace my dying Philips smart TV box (which they don't make any more). I bought a little S905X-TX3-Pro-4K-Smart-TV-Box Android box on eBay recently which looked like it would do the trick except that mid-program it keeps throwing up annoying alerts from other parts of the system, and the remote control doesn't have dedicated play/pause/ffw/rw buttons so you find yourself going into "mouse mode" to access various on-screen widgets. Personally, I'd go with the ChromeCast - its cheap, works with the major streaming services and it has HDMI CEC support, so you can use your TV's remote to play/pause/FF/RW as long as it has those buttons. But if that doesn't float your boat, I've heard good things about the Nvidia Shield. It's a bit more expensive than your current Android box, but I've only ever heard rave reviews of it (I can't speak from experience as I don't have one myself), and as an added bonus it has ChromeCast functionality built in as well. It comes with a remote, but also supports HDMI CEC, so what I said about the ChromeCast above is equally true for the Shield, or alternately you can connect a USB IR Receiver to control it with a separate IR Remote, if you want. Or you could go with a Raspberry Pi (or an old computer, if you have one lying around) running OpenELEC (aka Kodi). That's probably more technical than you want if you're looking for "a reliable little streaming box" - it's a bit more work to set up, and for a lot of the streaming services you have to rely on unofficial addons that can break at any time, but if you're comfortable with setting it up and troubleshooting, you can end up with a impressively powerful and flexible system with a lot of customisation options on the cheap. You can also add an IR receiver and use it with any IR remote you want. I had tried ChromeCast and was underwhelmed. I prefer a box that will allow me to attach local media (USB stick etc) and handle Netflix, my local media server and possibly SONOS. I'm trying to avoid having bulky/expensive additional setups that other members of the household will struggle with. We have a PS4 but it's pretty slow to start and clunky to navigate. The Philips unit was almost ideal for quick start up and ease of use but doesn't have streaming support. Shield TV doesn't seem to offer a good remote with standard AV buttons - it's either a bulky game controller or a stripped down remote for power/volume . Roku Ultra would appear to tick all the boxes but it doesn't support Australian streaming services.